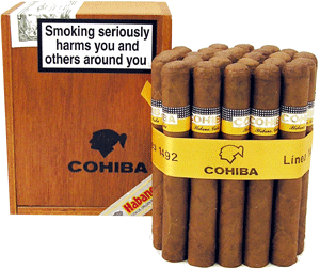 Cohiba is the flagship brand of HABANOS S.A. 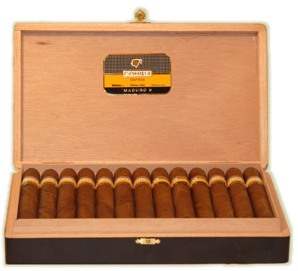 It was created in 1966 for President Fidel Castro himself and was made at the then top secret but now world famous El Laguito factory. 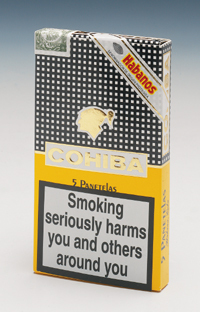 At first it was only made available outside Cuba as gifts for heads of state and visiting diplomats. 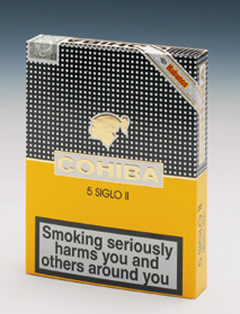 Cohiba was only made available in limited quantities to the open market in 1982. 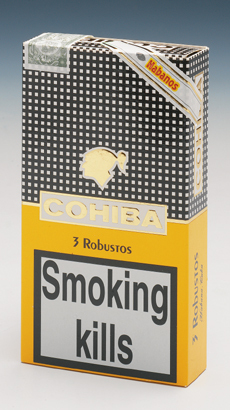 The name is an ancient Taino Indian word for the bunches of tobacco leaves that Columbus first saw being smoked by the original inhabitants of Cuba. 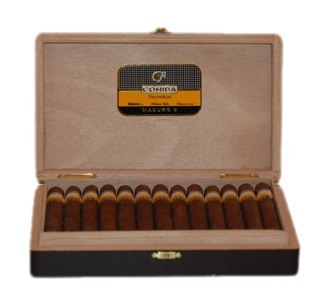 These were in fact the earliest known form of the cigar. 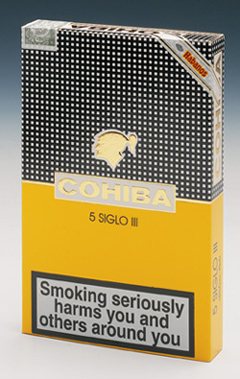 The Piramides Extra are the first cigars since 1989 to be introduced to the Cohiba Linea Clasica range.This 'torpedo' shaped cigar is a totally unique size and the first in the range to carry the newly designed cigar band. This incorporates additional holographic security elements. 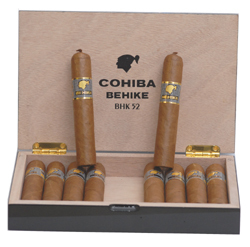 The cigars are available in Cabinet Boite Nature boxes of 10 and are expected to quickly become a popular addition to Cuba's flagship brand. 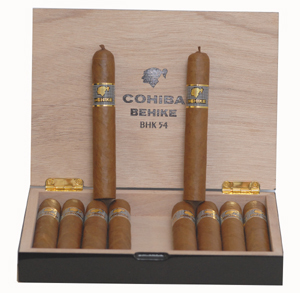 Showcased in February this year at the Habanos Festival were the new Cohiba Behike in three sizes. 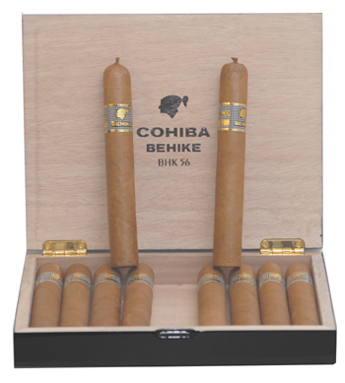 The Cuban cigar industry has gone to extraordinary lengths to ensure that this new line is special in every way. Not only are all three sixes new but there is a special classification of leaf within the blend of the filler. This is known as 'Medio Tiempo' which gives a unique and distinctive taste. The natural scarcity of 'Medio Tiempo' leaves dictates that annual production will be restricted. 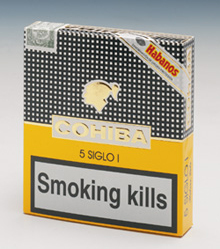 The Linear Maduro 5 was added to the Cohiba range in 2007. 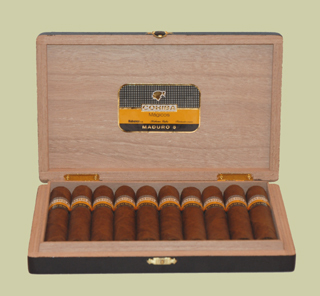 The cigars are dressed in dark naturally fermented wrapperleaves that add a note of sweetness to the taste. 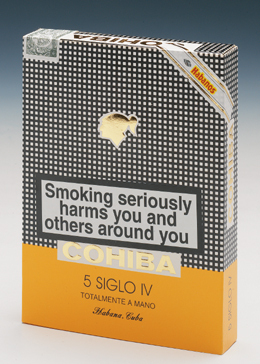 What makes these cigars special lies in the exceptional five year ageing process which all their wrapper leaves undergo, hence the inclusion of the number '5' in their title. 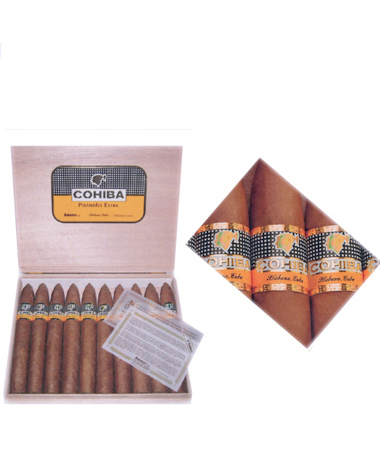 The binder and filler leaves are those used for the standard Cohibas including the extra fermentation for the Seco and Ligero leaves.